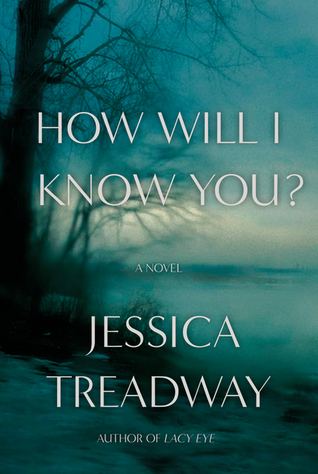 Book Haven : How Will I Know You? What an amazing read. I picked this up on a whim after seeing it and being intrigued by both the premise and the sampler at Amazon, and I'm glad I did. It's a tense thriller, although I'm not sure thriller is the right label- a contemporary mystery maybe? Regardless of label, it's one of the best books I've read in a while. It concerns a strangled girl and is told from four different perspectives- her best friend, an artist who is a suspect, the diver who searches for her body, and her mother. Harper is the best friend and she unwittingly sets something in motion when she is interviewed by the police. Martin is the artist who is arrested for murder- he's a black man in a mostly white town- while Tom is the search and rescue diver who has issues of his own that dovetail with the case. And lastly Susanne is the mother of the murdered girl- Joy- and we see the heartbreak of grief through her eyes as the story progresses. Joy was in trouble for drug dealing but a major part of the story is the fact that we don't know Joy. We do however get to know her as her story is slowly revealed. I was captivated by this tale and the way that the four stories are related. Martin's story was so different from the other three- one of the themes here is how racism can so pervade someone's worldview - even someone who isn't a racist can get tripped in the racial minefield of our society. A lot of stuff is going on in this story- there are explorations of infidelity, secrets, family dynamics- but it all works and is brought together masterfully. The writing is smart and I was occasionally reminded of Liane Moriarty- the way she weaves details of everyday life, the follies of suburbia, in a way that makes you laugh even as she's telling a story that's more serious. Same thing happening here. In spite of the subject matter I found myself laughing at times- there is humor as well. And there are a lot of connections- once or twice I thought maybe everything was too connected- but that's seriously the only complaint I have. This is the kind of story that makes you think and makes you want to be a better person, if that makes sense. Don't let the four perspectives scare you off. They work and each one brings something different. They feel like people and their experiences make them seem alive. It's fascinating to think about how different readers will relate differently to these characters- I found Harper and Tom to be most sympathetic, but someone else may have an entirely different reaction. These characters are very well realized and I cared about what happened. The ending is a gut punch and just like real life things can be messy. But there's hope here too and if there's one thing I took away, it's that small things matter- so take the time to see them. It's great when authors can make you laugh but still balance it with serious stuff. And I think numerous POVs can be great if an author does it right and they all really do bring something more to the story and sound unique. Sounds like a thought-provoking read. Yeah this book had a serious topic but some nice humor as well. Pretty good combo! The POV's really worked here too in spite of how different (or maybe because of). Totally different perspectives. It really was thought provoking. I'm impressed that the author has four POVs and makes them unique and strong enough to carry the novel... which btw, sounds amazing! Great review! Thanx Verushka! I was impressed with how such different perspectives were carried off. Sounds fascinating. I think the four perspectives would have scared me off without your review - often times too many perspectives confuse and make the story merky for me. But I can see how these four different vantage points could really enrich the story, since they are so different and yet connected in an unexpected way. Adding it to my TBR! Yay! I hope you like it. and yes the perspectives definitely were unique and each added something. It's a serious story with nice humor touches as well. Sounds good! Like Berls I'm always a little nervous when there's multiple POVs in a story because it can make the whole story muddled but this sounds so sharp and the characters sound so well developed and distinct it doesn't sound like it was any challenge to tell them apart. I'll have to check this one out! I hadn't come across it before. It is distinct in the sense that each POV almost feels like a separate story, but by the end they're interlinked. I thought this was done very well. It really is a good story and it's almost like getting four stories in one. Sounds like a great read! I'll have to track down a copy. I highly recommend. Great story! Thos Amazon samplers get me every time! I love Lianne Moriarty's work (I'm super excited for the mini-series adaptation of Big Little Lies) so that comparison is doing How Will I Know You all sorts of favours. I've been really into mystery/thriller combos lately, and it sounds like this one hits all the right notes, so I'll have to keep an eye out for it at the library! I so agree with you about Liane Moriarty's writing. She's got this uncanny ability of making the readers feel like they're right in the thick of what's happening in the book they're reading. And since you've assimilated this book to Moriarty's brand of writing, How Will I Know sounds like a winner! It really is, I mean the writing style is different but she has a knack (at least here) for pointing out the humorous little things of live, like Moriarty does. That is a seriously moody cover. The story being told from 4 POV sounds interesting too. I don't usually like too many different POV because I inevitably like/care about one more than the others and get impatient when it's not their turn lol. It is, isn't it? It's set in upstate NY near a lake so I guess that's what the cover is. I hear you on POV I have that too, and I did have favorites in this one, but all of them were different and added. I am intriuged. I am on the hunt for good supsenseful mysteries right now. I will look this one up. I think this would be a good choice. I thought this was written very well and the four POV's were handled well. Each one adds something and they all come together at the end. I like different perspectives when done well. From your review it seems that this was a strong point of the book. This author is new to me but I will keep her name in mind. Isn't it wonderful when you pick up a book on a whim and discover a gem? I would say the different perspectives definitely added to the tapestry of the book, just the way things were woven together. By having four she was able to take the story in certain directions and show different things happening. I hadn't heard of this one but it sounds like something I'll love, humor, suspense and all well done? I'l have to see if it's on audio. I don't mind more than one perspective if it works well, and it sounds like it does here. Thanks for sharing - I hadn't heard of this one before. I love a good mystery. It was really good! I thought each perspective added something new and by the end it was a more complete picture! Any book with a writing that is like Moriarty must be good! I like when can waive humor into any kind of story, even mysteries and thrillers. This was seriously well written, and I was impressed the way it was all brought together! This isn't normally something I would have picked up but after your review I would definitely give it a chance. Being able to work 4 POVs and still make a smart, contemporary mystery really sounds like an author I should try. I still want to pick up that Liane M - as I've mentioned, I've recommended it to someone based on your recommendation and she's loving it! I definitely am adding this to my wish list after reading your review, Greg. This sounds so good. I don't mind the multiple viewpoints--it sounds like the author does a good job of presenting the different sides and bringing it all together. Thank you for your insightful review. Does Time Dilute The Impact of a Book?